Milk, cream, strawberry core (corn syrup, water, strawberries, modified cornstarch, sugar, citric acid, artificial flavor, carrageenan, Red #40), sugar, corn syrup, high fructose corn syrup, whey, strawberry puree (strawberries, high fructose corn syrup, sugar, water, modified cornstarch, Red #40), stabilizer (mono and diglycerides, guar gum, cellulose gum and carrageenan), natural flavor. Cone: Ingredients: Bleached wheat flour, sugar, soybean and/or palm oil, soy lecithin, salt, caramel color and artificial flavor. Core Coating: Sugar, coconut oil, partially hydrogenated soybean oil, alkalized cocoa, milk, whey, cocoa, soybean oil, hydrogenated palm oil, soy lecithin, natural and artificial flavor, coating (soybean oil, coconut oil, nonfat dry milk, soy lecithin, salt, artificial flavor), skim milk solids. 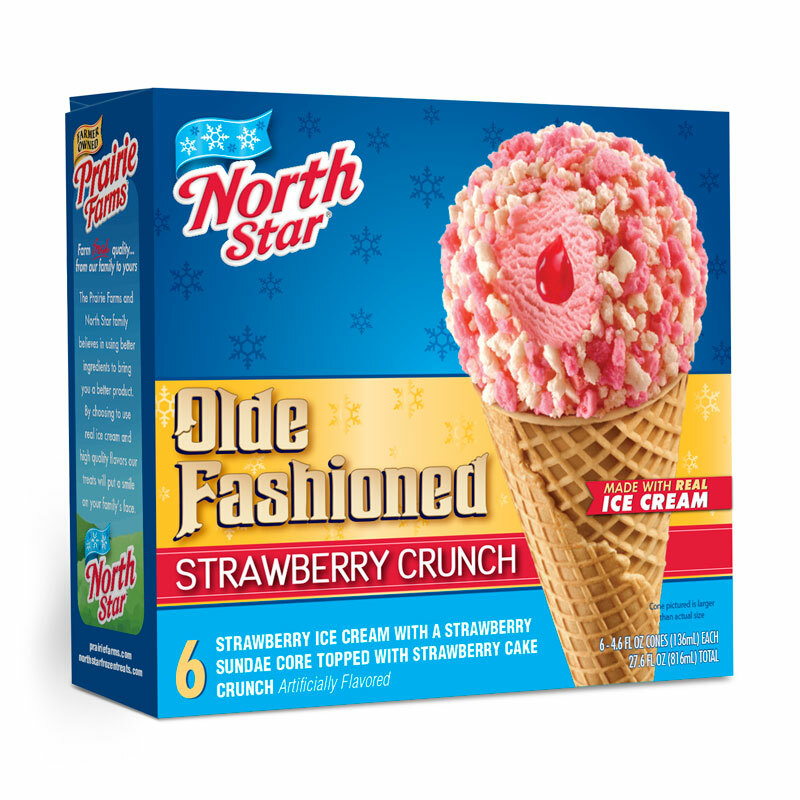 Strawberry Cake Crunch: Enriched wheat flour (bleached wheat flour, niacin, reduced iron, thiamin mononitrate, riboflavin, folic acid), sugar, partially hydrogenated soybean and cottonseed oils, Red #3, salt, baking soda, soy lecithin, artificial flavor.